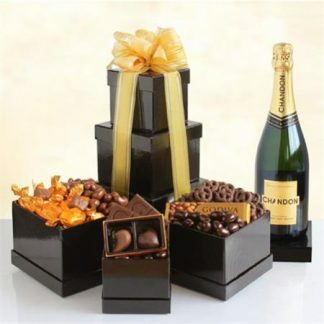 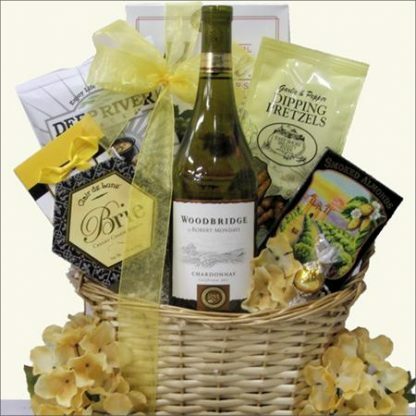 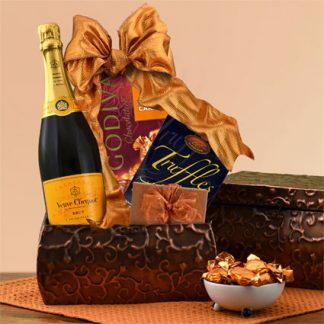 This Woodbridge Chardonnay Wine Gift Basket is a great gift to send as a token of your Appreciation, Welcome Aboard or for a Corporate Event. 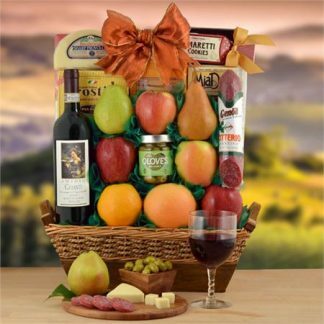 With its cheery colors this Wine and Snacks Gift Basket features a bottle of Woodbridge Chardonnay and is filled with an assortment of Cheeses, Crackers, Too Good Gourmet Garlic Herb Dip Mix, Lindt Chocolate Truffle, Rosemary & Olive Oil Chips and more. 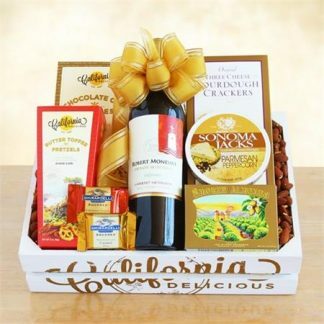 A delicious gift that you can feel great about giving. …in an Oval Natural Gift Basket.